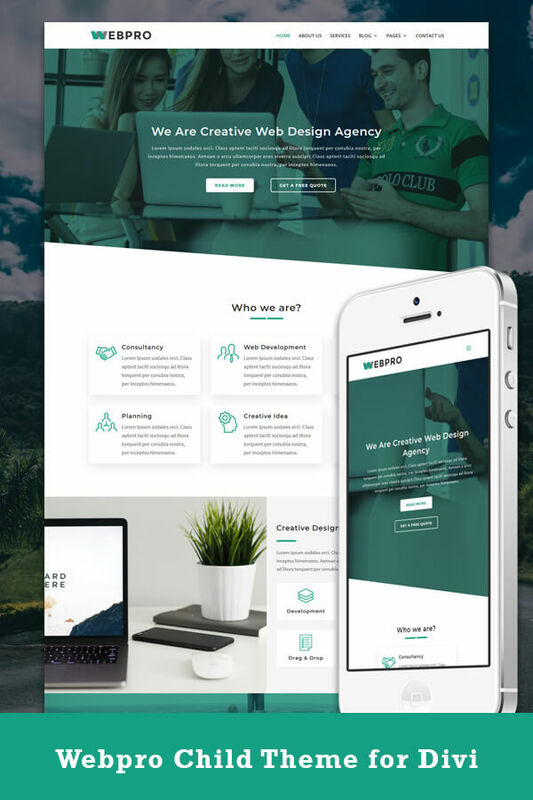 This attractive Webpro Multi Page Child Theme for Divi suitable for Webdesign Company, Corporate, Agency, Business, Marketing and General Purposes. Free premium support is available for 6 months. After 6 months, support cost will be charged based on the requirements. Free Support does not include customization/enhancements of the theme. A good amount of knowledge in Divi/Elementor Builder and WordPress is recommended to use this child theme. Refunds are not available for this digital downloads.